Brooklyn is both the son of Posh and Becks and a borough in New York City -- which over the past six years has become synonymous with hemp infused crystal moon cups and organic netil kombucha. Brooklyn Beckham was named so because he was conceived in hipster riddled wonderland that is Brooklyn, NYC (although back in 1999 it was a little more Beastie Boys rough n'tough and a little less beards n'brunch). At the time it was a little odd, a little cool, a little different. Much like Posh n' Becks's matching haircuts. Anyway, to celebrate turning 18, Brooklyn just got a Made in England tattoo. Despite the fact that he's technically not, and everyone he's ever met knows he's technically not. It's not the first time Brooklyn has inked himself up with something that has dubious alignment with his origins. Back in April, he got a tattoo of a Native American to match his dad's one. He is not Native American. Critics were quick to point out that this is cultural appropriation, as it's essentially co-opting a marginalised culture for his own personal aesthetic. Which ain't great. Brooklyn's Made in England tat isn't quite so offensive, because it isn't cultural appropriation. It's just… a little inaccurate. Could be worse though! But hey, no judgement. 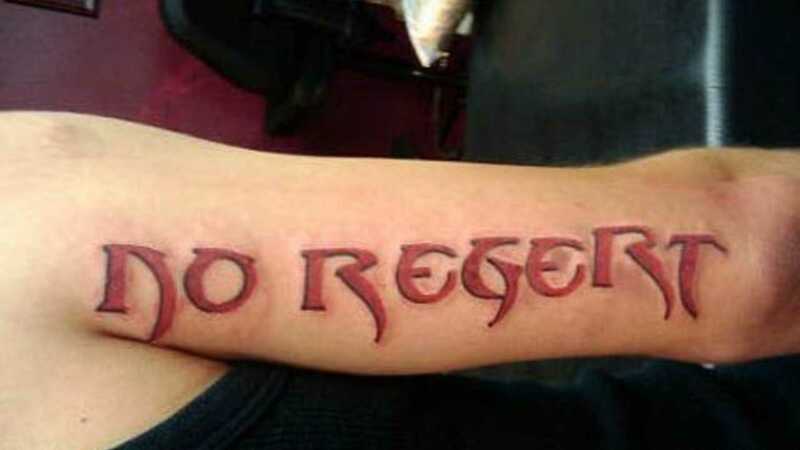 Ok, maybe a little bit of judgement, but only from a place of total understanding and absolute hypocrisy given that I'm writing this with an arm I got inked up when I was drunk. Happens to the best of us m8. Read: Those $4 supreme tees are now turning up all over America .